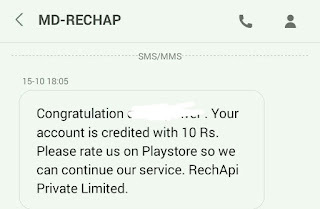 Introducing New App Called "Rechapi" which gives free 10rs recharge on signup & also if you are a recharge retailer you can earn huge commission for doing recharges . • After installing Open the app and signup with your name , number etc. • Now it will ask you to enter Your home city , shop name, area then click on submit. • Thats it!! You will get Rs 10 in your walletin 48 hours. • You will receive below SMS from RechApi Within 24 Hours. - Offer is valid for limited time . - Money will be credited in your wallet in 48 hours. 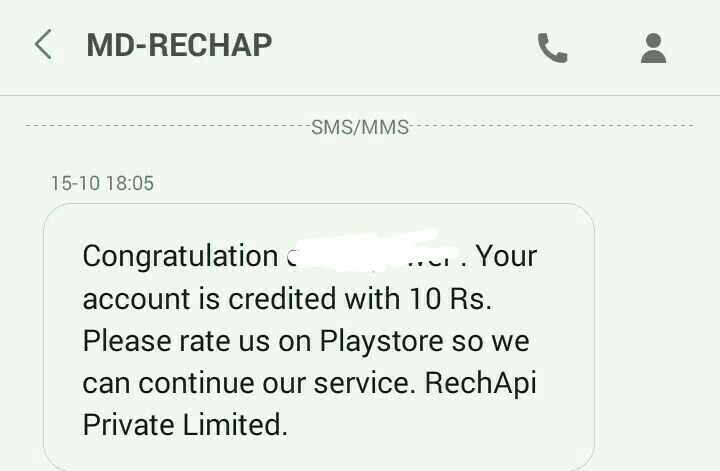 - You will only get Rs10 recharge ,if you activate your profile in the app. - Once you get money in your wallet , you can use it for recharges.